A major moment occurred at St. Martin’s Episcopal Church in Houston when former presidents, their wives, and current first lady Melania Trump gathered to say goodbye to the former first lady Barbara Bush on Saturday. Leaving politics aside, Melania Trump, Obamas and Clintons made a historic picture at Barbara Bush’s funeral. 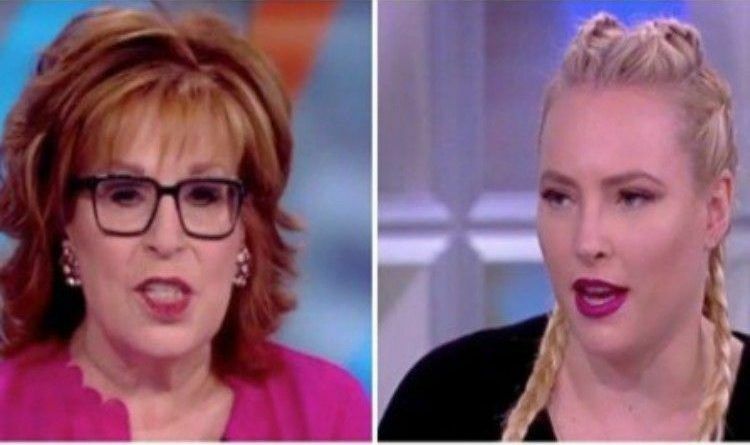 Unfortunately, The View’s Joy Behar used the discussion about Barbara Bush’s funeral as an opportunity to go after Trump, but Meghan McCain refused to get political. “This picture made me nostalgic for the America that I grew up in, basically where there were statesmen running the country instead of con men,” Behar said, in reference to a photo of Melania Trump with former presidents and first ladies at Barbara Bush’s funeral. However, when the conversation turned to Meghan McCain, even though she is sometimes a critic of President Trump, she refused to turn it political. “And why do you think that is?” Behar asked. Joy Behar mainstreams hate and ignorance. This was a very well delivered shot by McCain. There is no reason why a person has to be so rude, crude and so unacceptable. Go take a look at old videos of Behar bashing GW Bush in ways that can only be described as hateful and divisive. Yet today she calls him a statesman….this woman needs to be taken off the air!